Ilayathalapathy Vijay is gearing up to start shooting for his untitled Atlee directorial tentatively titled as Vijay 59. Makers are planning to launch the movie in the last week of June with a formal pooja. 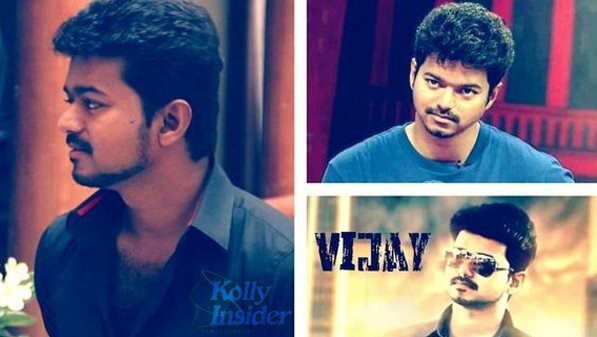 According to sources close to Vijay 59 team, untitled Vijay starrer will go on floors at Adityaram Studios, where the actor shot for his Puli. Remember, Chimbudevan directing Vijay's Puli has hit the floors at Adityaram Studios, in ECR and the unit had shot major parts of the film in the grand set erected in the studios. Untitled Vijay 59 first schedule is expected to start on 26th or 27th of June, based on Vijay's arrival in Chennai, after completing his London vacation. Samantha, Amy Jackson will play female leads for Vijay. Music by GV Prakash and editor Anthony L Ruben among the crew. Kalaipuli S Thanu produces the movie on his V Creations banner.